Steven Getman: Help fight the opioid crisis on October 27: bring unused prescription drugs to a drop-off location on National Drug Takeback Day. Help fight the opioid crisis on October 27: bring unused prescription drugs to a drop-off location on National Drug Takeback Day. 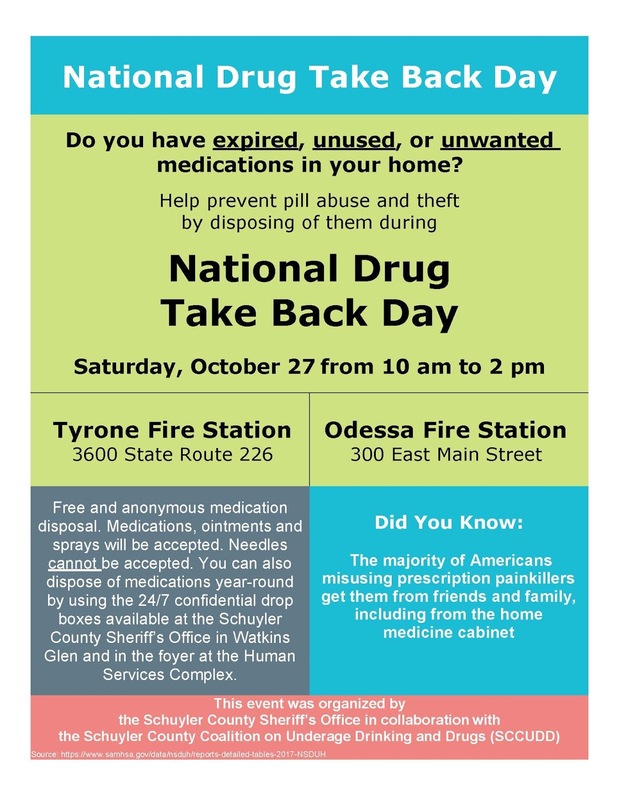 As part of Schuyler County’s multi-leveled approach to tackling the opioid epidemic, Schuyler County officials are encouraging community members to participate in National Drug Take Back Day on Saturday October 27. 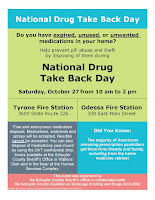 Schuyler County residents can drop off their expired, unused, or unwanted medications between 10 AM and 2 PM at the Odessa and Tyrone Fire Stations. The Odessa Fire Station is located at 300 East Main Street in Odessa. The Tyrone Fire Station can be found at 3600 State Route 226 in Tyrone. Those drop-in stations are being sponsored by Schuyler County Sheriff William Yessman and the Schuyler County Coalition on Underage Drinking and Drugs (SCCUDD). Community members can also dispose of unwanted, expired, and unused prescription drugs year-round by using the 24/7 confidential drop boxes available at the Schuyler County Sheriff’s Office in Watkins Glen or in the foyer at the Human Services Complex in Montour Falls. Residents of other New York counties can visit clearyourcabinet.com to find out where they can safely dispose of medications this Saturday, Getman said. Disposal of unused prescriptions and over-the-counter medication at these locations is "no questions asked" and free of charge. In addition to advancing efforts for the disposal of unused opioids, Schuyler County’s strategy to attack the national opioid epidemic includes its ongoing lawsuit against the manufacturers and distributers of prescription opiates for damages to the County. In May of this year, Getman filed a nearly 250-page Summons and Complaint for damages to the County arising out of the fraudulent and negligent marketing and distribution of opiates in the County. That case was transferred to Suffolk County Courts shortly thereafter, to join other cases brought by various New York state counties. In June, a New York State Supreme Court Judge refused to dismiss lawsuits against several large opioid manufacturers in one of the earliest decisions to come out of the cases brought by local governments over the prescription painkillers. Recent reports indicate that opioids now kill more than 50,000 Americans a year, 10,000 more than AIDS did at the peak of that epidemic. The National Prescription Drug Take Back Day is organized by the Federal Drug Enforcement Agency to provide a safe, convenient, and responsible means of disposing of prescription drugs, while also educating the general public about the potential for abuse of medications. Various national organizations have joined the DEA and local agencies in organizing the event, including the White House Office of National Drug Control Policy; the American Association of Poison Control Centers; the Community Anti-Drug Coalitions of America; D.A.R.E. 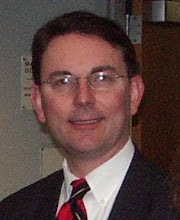 America; the Federation of State Medical Boards; the U. S. Health Resources and Services Administration; the International Association of Chiefs of Police; the National Association of Attorneys General; the National Family Partnership; the National Organization of Black Law Enforcement Executives; the National Association of Boards of Pharmacy; the National District Attorneys Association; the National Sheriffs’ Association; and The Partnership at Drugfree.org. For more information about Schuyler County’s participation in National Drug Take Back Day, click here.